Sometimes you need to create doc files from your html files. 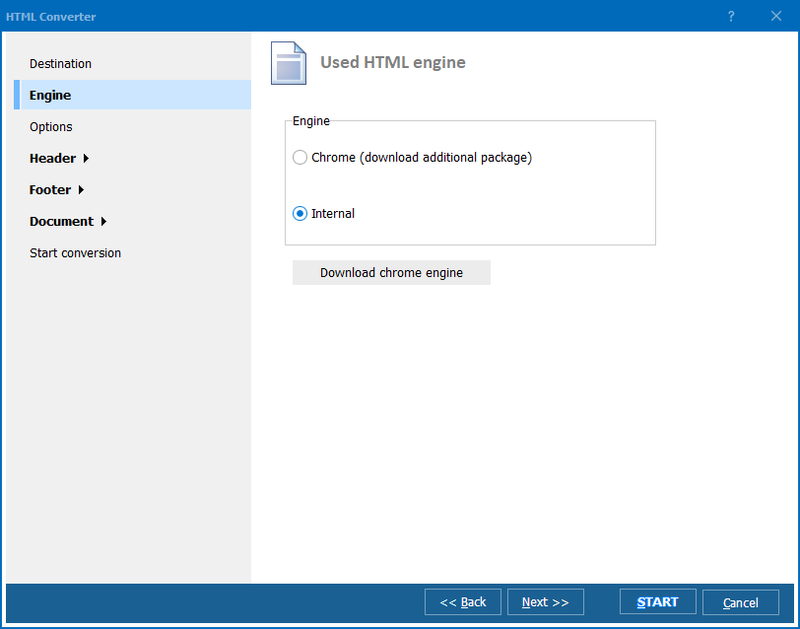 It's an easy task if you use Total HTML Converter. The program will automatically check the content of the input directory and it will automatically convert the files to your chosen output format. The interface of Total HTML Converter is quite simple. There are three panels there. The left one displays your file tree. 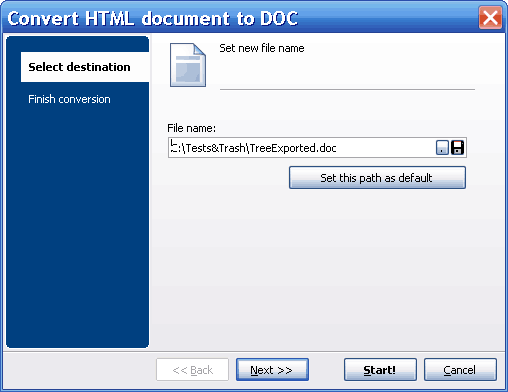 Here you select the folder with your HTML files that you want to convert to DOC. The middle panel shows you the list the contents of the selected folder. The built-in viewer in the right panel allows you to view the file before the conversion. Select the file you want to convert and mark it (click Check button or check its checkbox below the list). Wizard dialog window will appear. Choose Destination item and select necessary destination folder to place the output DOC file. You can use current path or to change file name or destination. You can mark the fields Delete originals and Open destination folder after converting to delete originals (think twice!) and to open destination folder after converting. Press Start! button to convert HTML file to DOC format. Tip! All conversion parameters made are remembered so next time you want to convert files of the same source and target formats, these settings will appear (sure you may change them if you like). A fully featured and in all an excellent program; considering the price it is the best html to doc solution available on the market now.